Gastropub is a term that should have been strangled at birth. Not just because it's a stupid name but because pubs jumping on the gastro bandwagon end up confused, compromised and of little use to anybody. Relaxed boozer or dining destination? The answer usually ends up a wishy-washy neither. And that's not a place where you want to eat or drink. So the lesson here is: if you're a pub, just be a pub. This is what Footscray's Victoria Hotel does. On paper it might seem otherwise. The Victoria has an Andrew McConnell connection (owner Anthony Hammond co-owns the Builders Arms) and a smart, witty fitout from Projects of Imagination. It also has minimal intervention wine on tap from Adelaide Hills winemakers such as Anton van Klopper (Lucy Margaux) and James Erskine (Jauma). So there is some fancy in its genes. But ask for a cocktail and you'll be informed – politely but firmly – they don't do that in these here parts. You could get a gin and tonic, but there's no hope of a martini because they don't stock vermouth. It's interesting to note how relaxing that is, the removal of one layer of choice. There is choice in the beer selection, though that's kept to a civilised minimum, too, because the Victoria doesn't go in for packaged beer. Everything is on tap – nine beers and one cider – and there's a little something for everybody. 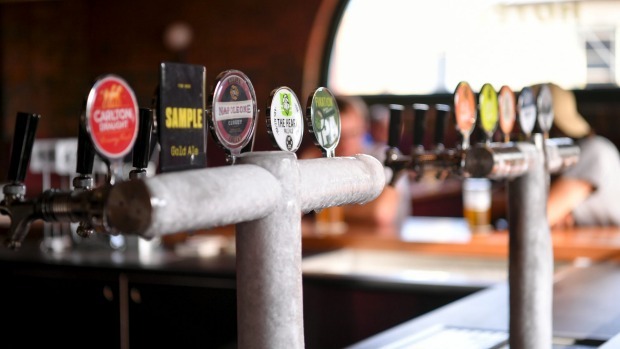 Mass-produced fans can head for Carlton Draught and Asahi, while the craft crew is well-served by a range of small local brewers such as Moon Dog, Sample and Footscray's own Hop Nation. The big advantage of a limited, cleverly selected range is that everything stays fresh. The main room/public bar with its central bar, high ceiling and a mix of seating – high tables with bar stools, banquettes, stools at the comfortable wide, timber-topped bar – encourages sinking pots. It's peaceful and spacious. The use of rippled glass panels, outcrops of busily patterned pub carpet across the concrete floor, ceiling fans and original arched windows make this feel like a country pub, one where time is long and slow. That feeling's worth the trip on its own. The food menu avoids gastro connotations, too. Chef James Cornwall (formerly of the Seafood Room in Hong Kong) has his cheffy moments. There's black pudding included in the scotch eggs and whipped tofu with the beetroot and watermelon salad. 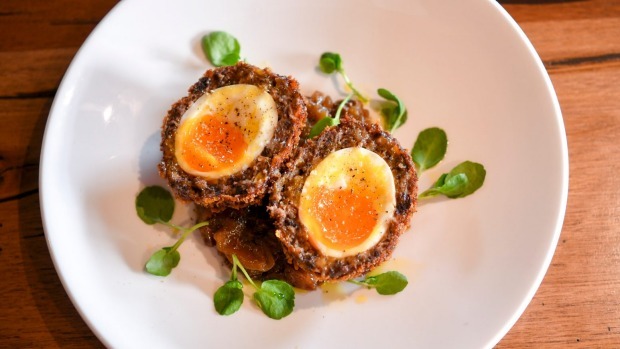 But mostly the list has all the things that will have you feeling grateful for seeing on a pub menu – chicken parma, fish and chips, a burger, some bangers and mash, a pork schnitzel, a fish pie. Servings are generous, the cooking precise and the flavours on the right side of salty – just where you want them to be. The Victoria is a straight-down-the-line kind of place. 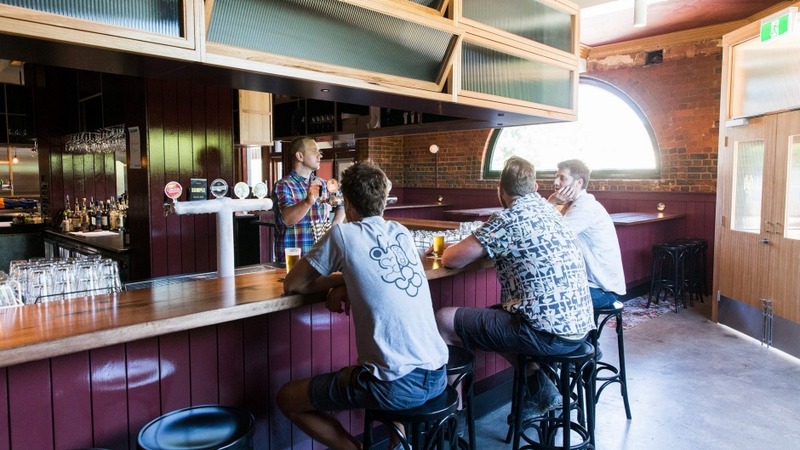 Sure, it's a fan of minimal intervention wine (the tap white, an unfiltered sauvignon blend, is a cracker, by the way) but it has the hospitality and vibe of an old-school boozer. Footscray's lucky to have it. 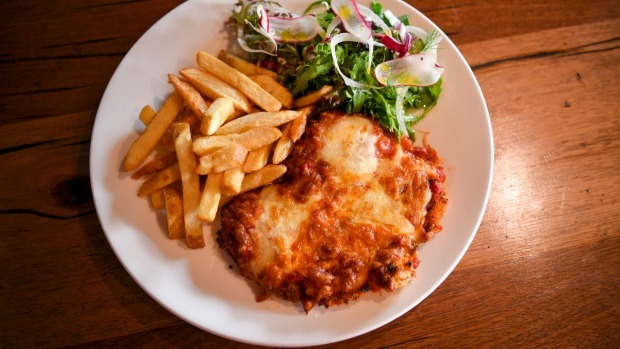 Go-to Dish: A chicken parma that does old school with finesse, aplomb and san marzano tomatoes.